One of the most effective ways to add curb appeal to your property is to choose an interlock driveway or concrete driveway that accentuates your property’s existing architecture. The beauty of choosing interlocking stone is that you can customize the pattern and colours to create the look you’ve always wanted. Interlock is a great way to showcase and leverage all areas of your property, including adjoining patio space and walkways. Many interlocking stones have earthy tones that flow seamlessly into your garden, enhancing the look of your yard’s natural features. The price of installing interlocking driveways are determined by different factors. With interlocking stone, there are many patterns to choose from. This is why our professionals help you decide on the pattern, colours and design during the consultation process. The installation and maintenance of interlocking stone is relatively easy. Seasonal pressure washing removes buildup and keeps your stone looking beautiful. If a paver gets damaged, it’s easy to repair and replace the damaged paver on a case by case basis; thus saving you time and money. 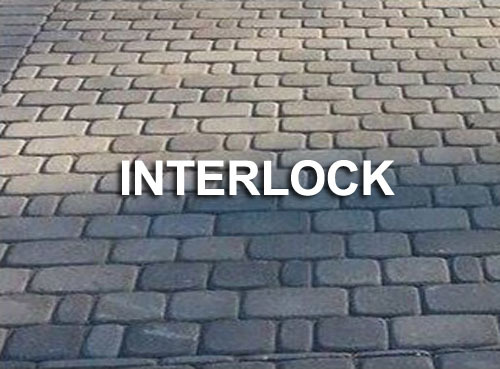 To learn more on interlocking pavers, read our article “All You Need to Know About Interlock Pavers. Click here for a full review of pros & cons of interlocking driveways. See more of our driveway work. Concrete driveways are a popular choice because of their minimal maintenance and assured durability. 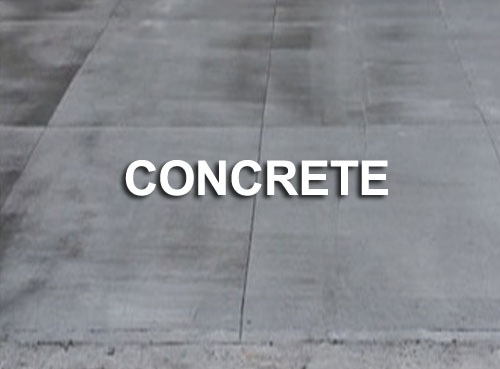 Concrete driveways are sturdy enough to withstand Ontario’s extreme weather conditions. They’re also highly load-tolerant which makes them a great option for commercial establishments. With concrete, home owners and property managers don’t need to worry about the driveway sinking or shifting should they need to park multiple vehicles on it over time. Home owners needn’t sacrifice beauty for durability either. Today’s concrete comes in so many colours and styles that it’s easy to choose a look that suits your home. Because concrete is easy to install and low maintenance, it’s a cost efficient choice for both home owners and commercial establishments. Click here to learn more about the average price of concrete driveways or the pros & cons of concrete. Click here to learn the pros and cons of installing a concrete driveway. To learn more about whether you should use interlocking stone or concrete for your driveway, click here. Thinking about a new driveway? Click here to receive your free, no obligation quote. The Markstone crew over delivered on our 2400 sq ft. driveway!